Slice the spring onions and fry in the butter until soft. Add the peas, mint and stock and bring to the boil. 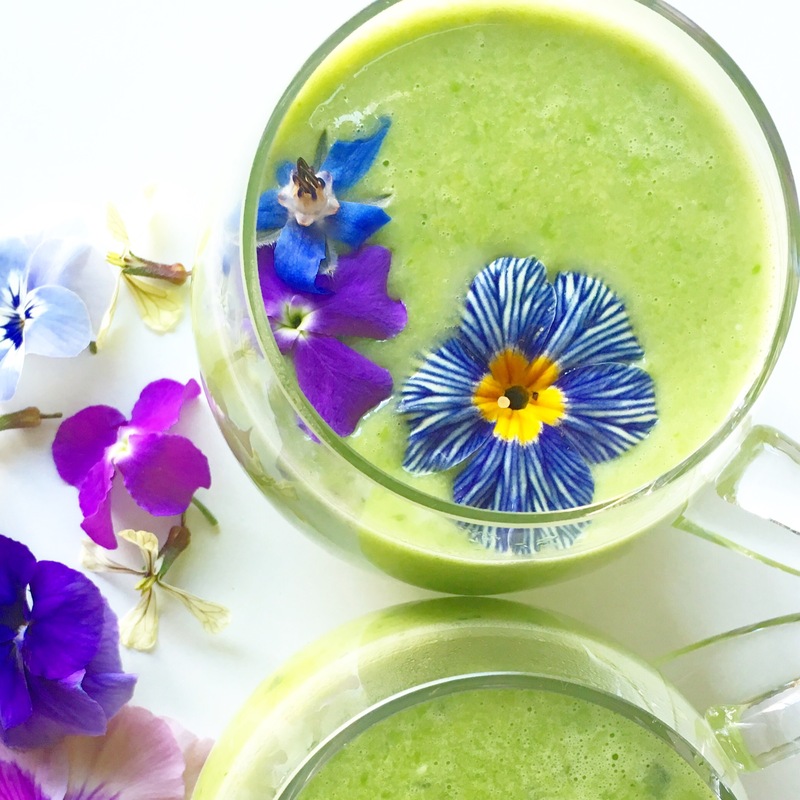 Simmer for five minutes and then blitz in a blender until smooth. Stir in the crème fraîche and serve! 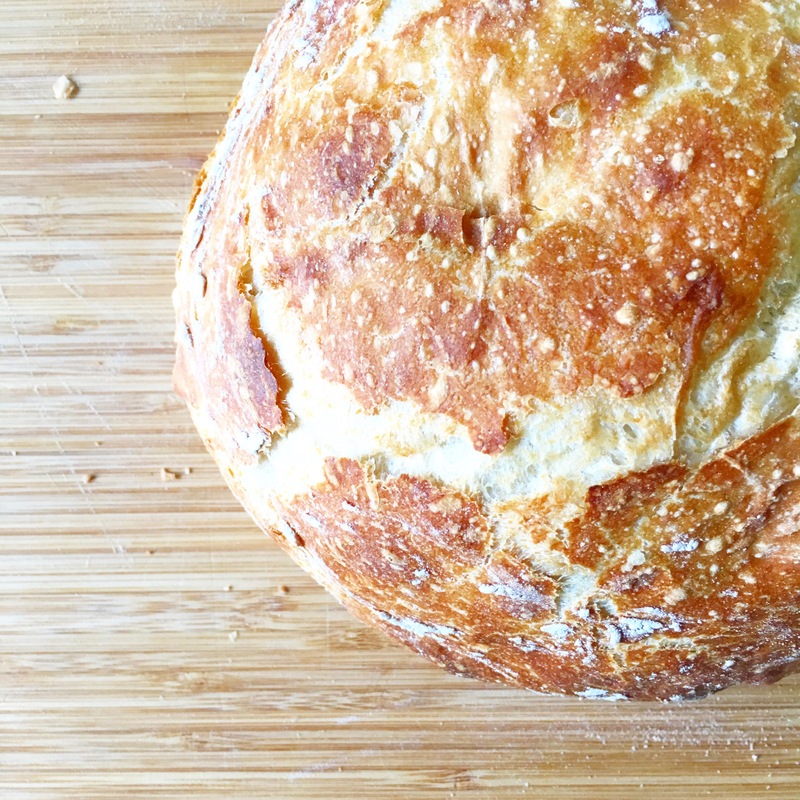 I like to serve this up with homemade crusty white bread and butter – I made the loaf above with the New York Times no knead bread recipe and it turned out a treat! Depending on how much bread you serve, this will feed two people as a main course, or four for a small starter. 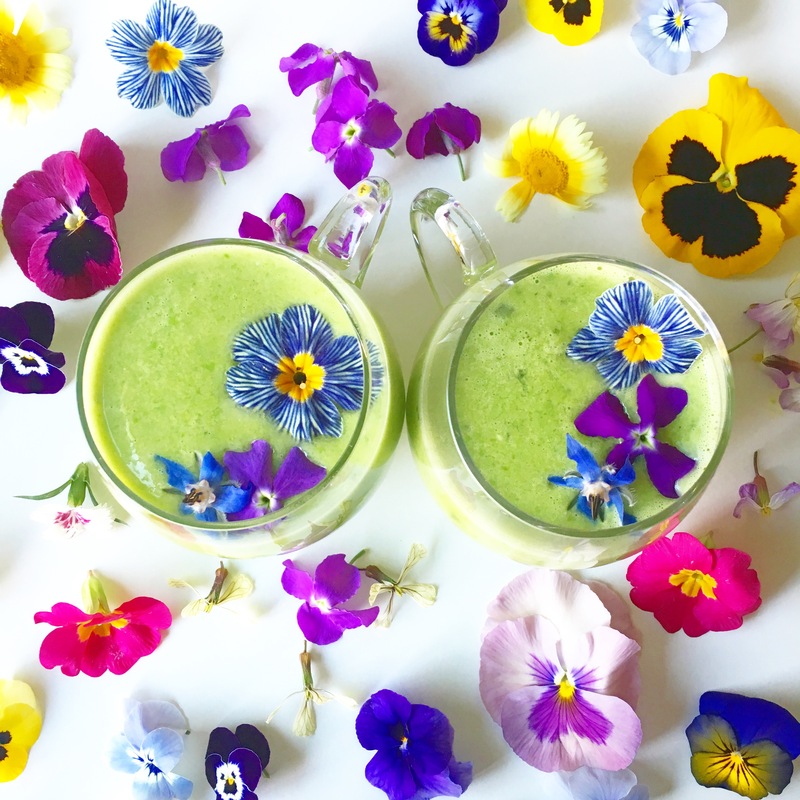 If you want to make your soup extra special, add in some beautiful edible flowers. I got mine from Greens of Devon – they send a big collection of assorted flower heads, which you can store for a few days if you keep them cool. They’ll elevate even the simplest dish from a basic offering to a feast!